Don't let all the hard work the children in your life have put into reading over the previous school year stagnate during their summer recess warns Gabrielle Miller, the president and CEO of the non-profit organization Raising A Reader, which is dedicated to helping families develop, practice, and maintain literacy habits for children ages 0-8 that are critical for a child's success in school and life. Miller notes that with no homework assignments from teachers many of the 50 million plus children that are on summer vacation will stop reading during this break from school impairing their learning abilities when they return in the fall. 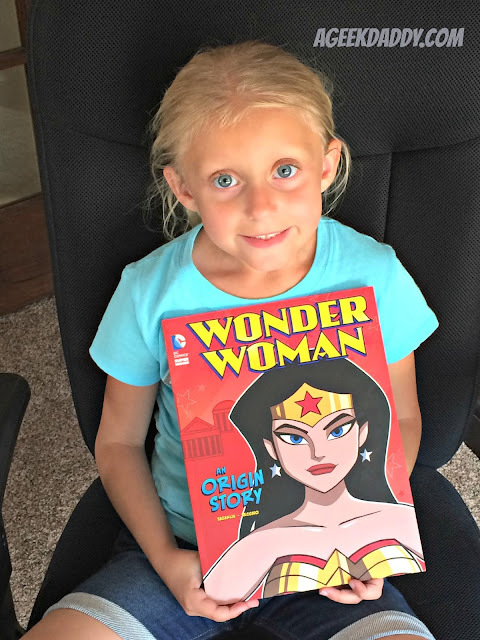 She reached out to A Geek Daddy to help spread the message that parents need to incorporate books into summer vacation activities and establish regular reading routines for their children. "Summer reading should be all about the parent-child experience," Miller communicated to A Geek Daddy. "Rather than having it be a chore, or a list of must-read books, summer is a terrific opportunity to build family reading experiences. Whether it's as simple as reading with children so they can see how much adults love reading, or visiting places and doing activities tied to a book, there are a host of ways reading can help children enjoy the summer and be ready to start school in the fall." Participate in a local public library summer reading program that will often provide fun educational activities during the break from school plus challenge kids to read in order to earn an invitation to a special event like a pizza party or other rewards or prizes. Many libraries across the United States participate in the Collaborative Summer Library Program which provides a uniform theme and resources for libraries to use to encourage kids to read. This year's theme is Wellness, Fitness & Sports. Check out what your local library has to offer kids to help keep them reading during the summer. Let your child choose. Books are great, but so are comic books, magazines and even educational websites such as National Geographic Kids. Let them chase their interests and they’ll be reading more than they realize. My kids love super heroes so we're encouraging them to enjoy a super summer of reading with DC Super Heroes books from Capstone Publishing, which specialized in children's books and digital products specializing in the educational market serving class rooms, libraries and parents looking for good materials for their children to read. Capstone Publishing has a wide range of DC Super Heroes books to choose from suitable for all ranges of children to enjoy from those in their preschool years having mom or dad read to them to elementary school students just learning to read on their own to teens who are looking for something interesting to read during their high school years. They generously sent A Geek Daddy a free sample of the books in their super hero collection perfectly matched to my kids reading level to help keep my 7 year old twins reading over the summer months. 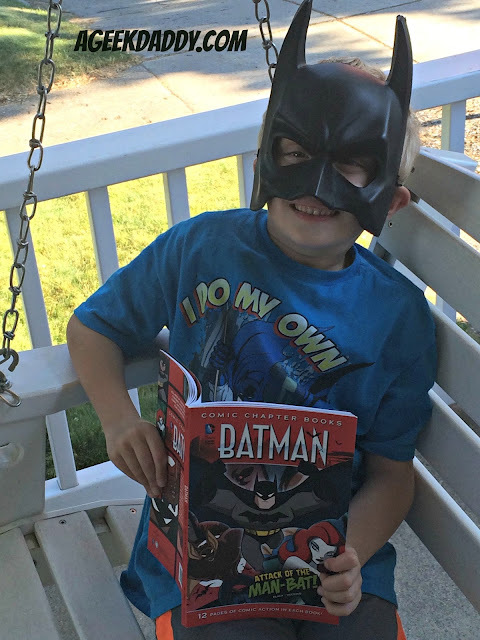 Easy to read Batman, Superman and Wonder Woman stories written for a children's elementary school aged audience will keep my kids interested in flipping through books all summer long. 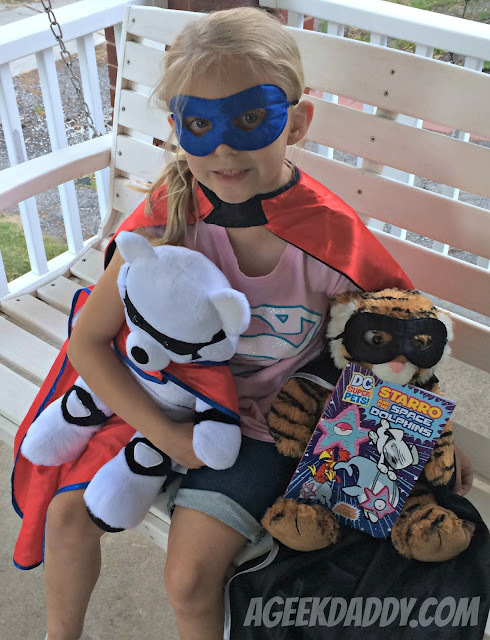 My kids also just discovered through these book Capstone Publishing sent us the world of the DC Super-Pets which is a line of books featuring stories about the unique animal companions to the super heroes and villains of the DC Comic book universe. My kids have fallen in love with the DC Super Pets collection! My twins also are participating in our local public library's summer program to help keep them reading during their break from school. Each week they are provided a list of challenges involving reading books and educational activities that if are completed allow them to grab something from a treasure chest of prizes. Also throughout the summer they'll have the opportunity to spend some time visiting the library and reading to a therapy dog in training. They are both excited to share their new DC Super Pets books with the therapy dog when they have a chance to read to it this summer. At the end of summer there is a party for all the kids who participated that includes a magic show and Kohl's department store provides all the children with Kohl's Cares stuffed animals and books as a reward. Have you checked out what types of summer activities your community public library has to offer? For more information about all the wonderful books that Capstone Publishing has available for young readers, visit CapstoneKids.com. Parents can be super heroes by ensuring their children read over the summer. 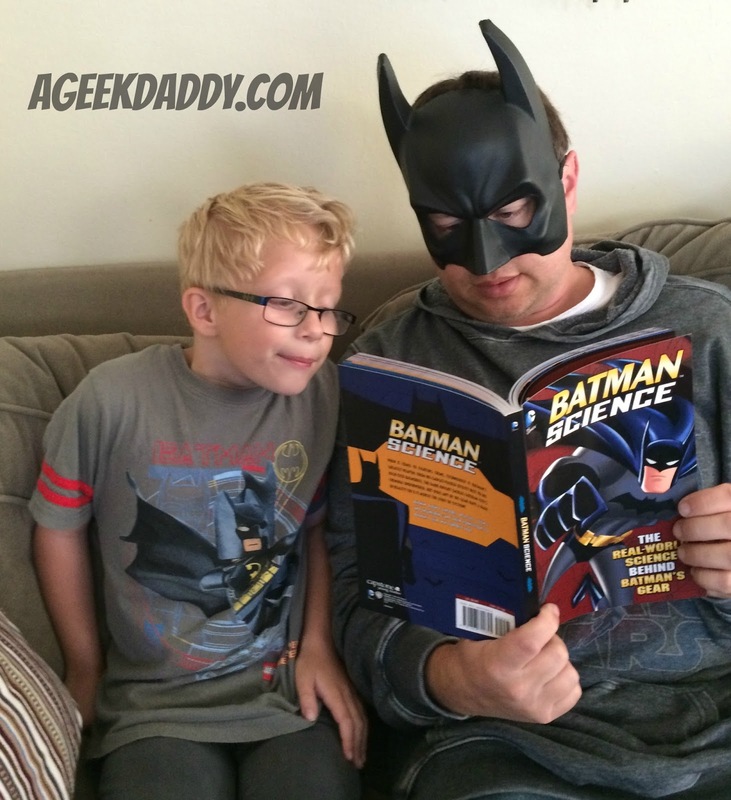 I hope all of our A Geek Daddy readers have a super summer of reading!